Welcome home to Village Walk Apartments in Webster, New York! Our cozy, centrally located neighborhood provides an inviting atmosphere unlike anywhere else within the area. Each of our spacious one and two-bedroom apartments boast expansive floor plans designed to fit your lifestyle. Our refined apartment homes also include necessary conveniences such as an in-home washer and dryer and stylish comforts, including an inviting fireplace and private patios or balconies. All of this and more awaits within our property’s lush, green grounds that exude the ambiance of a welcoming, suburban setting. If you're seeking a refined living experience, find the home of your dreams today at Village Walk Apartments. Village Walk Apartments boasts a central location in the heart of Webster, New York. Close to many community centers and points of interest, including shopping, dining, schools, and office buildings, Webster is an ideal place to work and play away from big city life. Explore Lake Ontario, get involved with any of our numerous organizations, and relax with friends and family in the communal areas of Village Walk Apartments. Only a 20-minute trip from Rochester, our apartment community is ideal for families and young professionals seeking a lifestyle that combines the best of city living with remote relaxation. 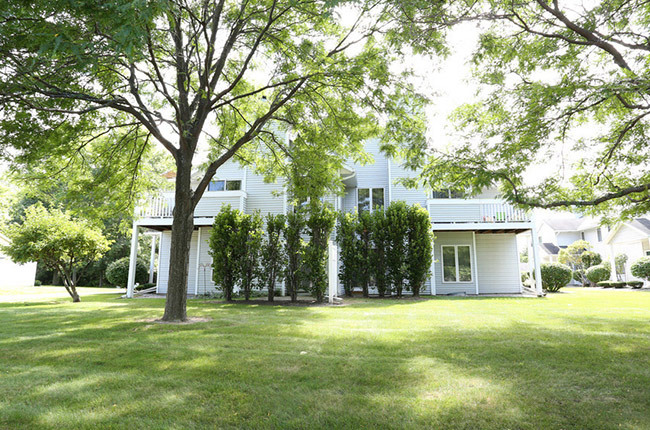 Experience a heightened lifestyle in Rochester’s fastest-growing suburb. Schedule a private tour of Village Walk Apartments today!